You guessed it, another Call of Duty title is set to release at the end of this year. With Activision’s two-year development cycle for the title, it’s thought that we’ll see Infinity Ward developing Modern Warfare 4 as 2013’s installment for the series. While quite a few of the main characters in the Modern Warfare storyline have died, it’s still technically possible that Call of Duty: Modern Warfare 4 could be the next title in the pipeline. While we’re not disputing that the game is something that we’ll see in 2013, the “fan art” that’s circulating around the web today is absolutely fake. 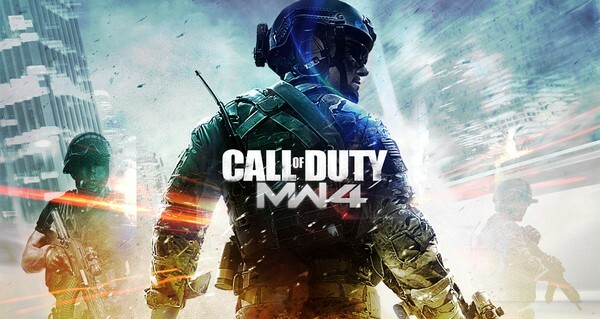 Earlier today, an image surfaced that appeared to be new cover art for Call of Duty: Modern Warfare 4. However, that artwork is actually fan-made and was first released in August of 2012 by Ahmed Malaka. Most importantly, Ahmed stated that the artwork is not intended for use in or for the game, but he just loves the game and wanted to create it. The image that’s been traveling around the web can be found here. The image is likely to catch fire on a few different outlets and blogs, but you can rest assured that it’s entirely fake. There’s still a chance that the next game is in fact Modern Warfare 4, but we wouldn’t expect any announcements or teasers to go live for at least another month or so. What do you want to see out of the next Call of Duty title? Be sure to let us know what you think by leaving us a comment below, or discuss Call of Duty in our forums.